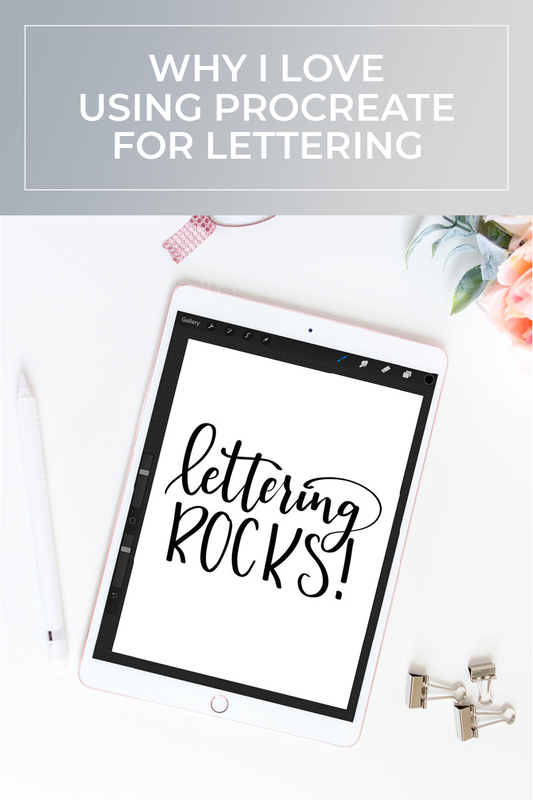 I’m sharing a basic introduction to the Procreate app and talking about why I love using Procreate for lettering and art. 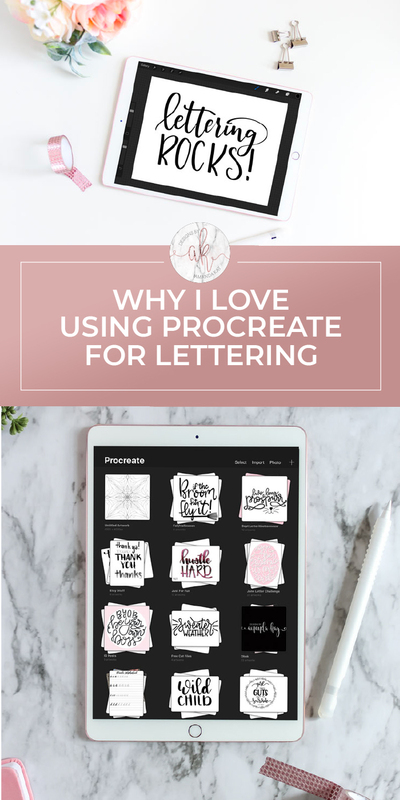 Before we get into why I love using Procreate for lettering, let me tell you that this app and hardware that goes with it is a huge investment! 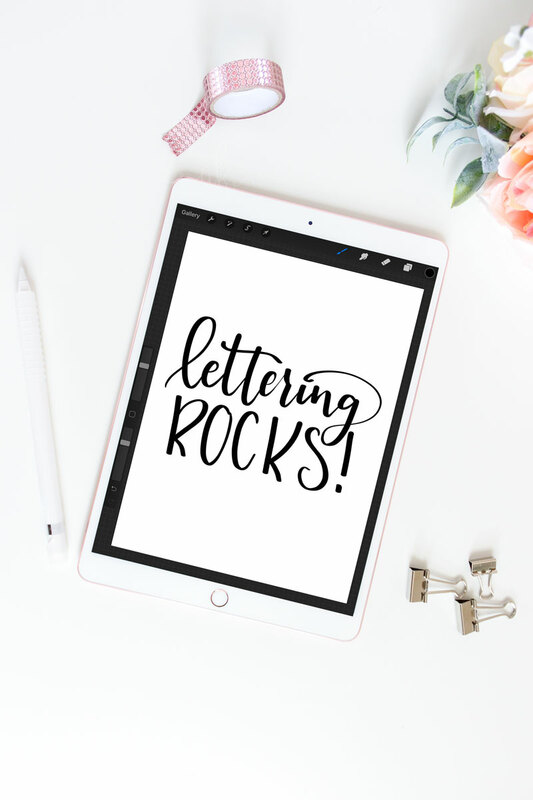 I would recommend starting brush lettering (or hand lettering too) on paper and really develop your own style before jumping into iPad lettering. I personally use the 10.5″ iPad Pro and find that it’s the perfect size for me. It fits snuggly in my purse and isn’t too bulky to carry around. The 12.9″ iPad Pro screen is roughly the size of a piece of paper. I don’t regret buying the smaller one, but if you are thinking about purchasing make sure to go into a store and physically compare the two sizes. Just my two cents! 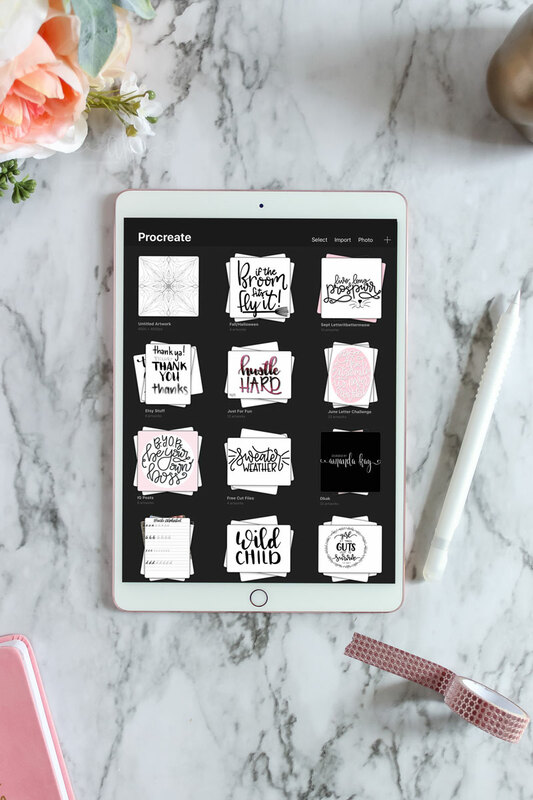 Procreate is a drawing, painting, lettering, designing app specifically designed to work with the Apple Pencil and iPad Pro. 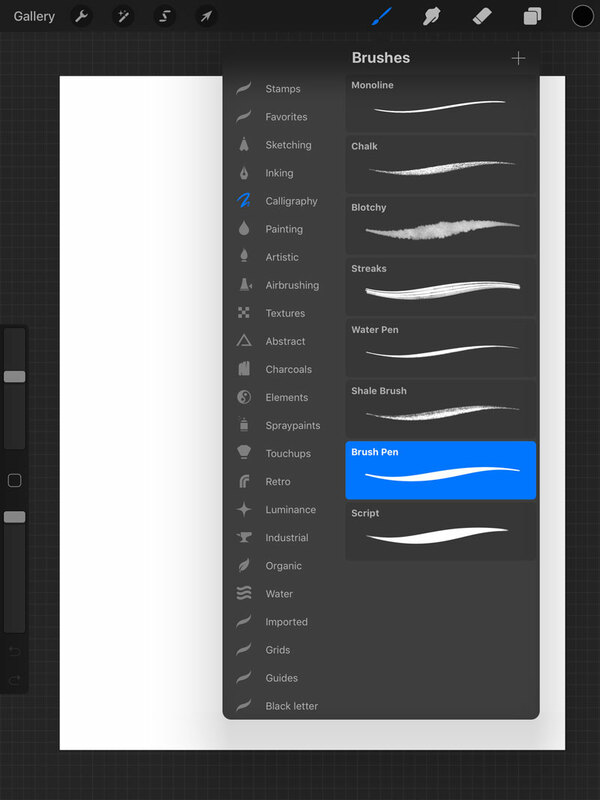 It comes with over 130 preloaded brushes that are fully customizable, drawing guides and even a symmetry guide. You can automatically create time lapse video of your creations, and take real time screen video. Download the app for iPad Pro. 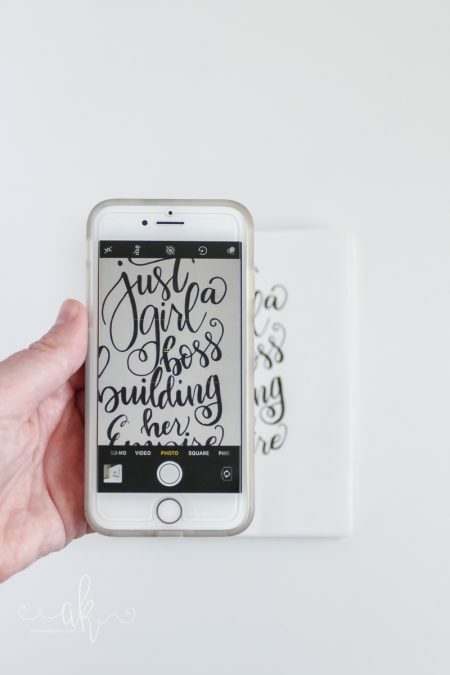 It’s super responsive with the Apple Pencil, making those thick downstrokes and thin upstrokes possible with brush lettering! It may take a little bit of adjustment to get used to writing or drawing on the glass surface vs. paper, but once you do there’s no holding you back! They do make paper like screen protectors for the iPad if you prefer something with a little grab, but I have not personally tried them. Procreate comes with so many fun pre-installed brushes! There is also the endless possibility of creating your own new brushes, or finding brushes to download from Creative Market or other places. What I love the most about using Procreate for lettering, is that I have complete control over placement of each element and can zoom in to fix even the tiniest of details. Plus, as someone who is a little bit O.C.D. that undo button can really come in handy. Lettering something that has a bit of a trickier layout is much easier (for me) to do in a digital format than with paper and pencil. 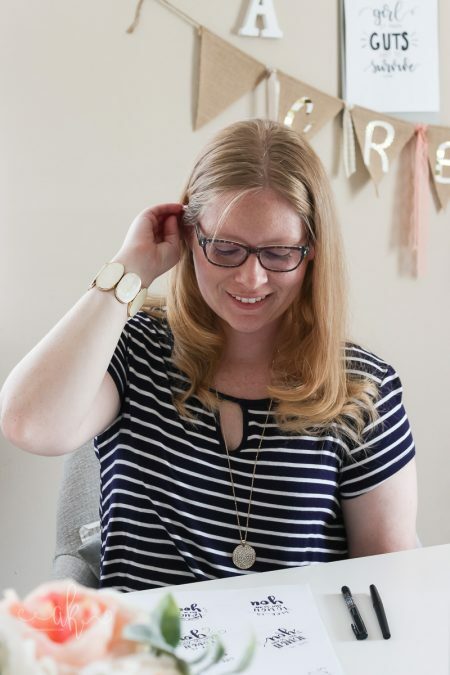 Use layers to keep each piece of your work separate to make moving items around or changing small parts even easier. 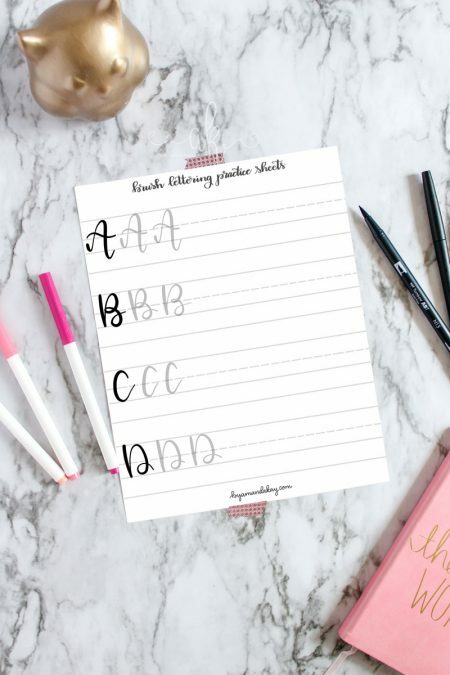 If you don’t like one part or one word of your work, then you can simply redo that layer instead of the entire piece unlike with paper and pencil. 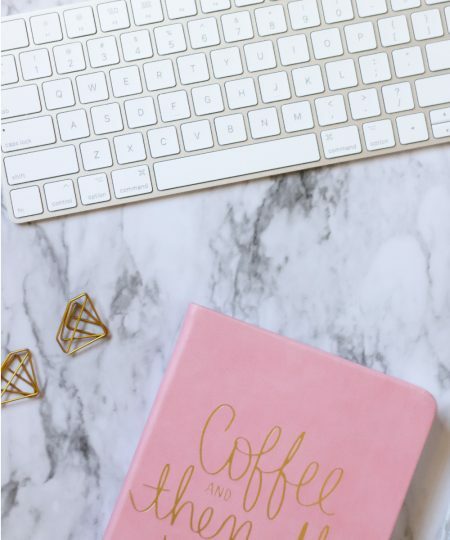 This goes without saying, but you can skip a few steps when your work is already digital! I’ll show you how to make SVG and DXF files in Illustrator from a PNG in a later post, but it’s pretty simple! Plus if you use Apple products across the board it’s easy to send your finished PNG files from the iPad to your computer with Air Drop. It’s really easy to get started creating a new piece. When you open the Procreate app, you are taken to the gallery. Simply click the plus sign located at the top right corner and select a size. There is the option to create custom dimensions as well as resolution. Once the blank canvas has loaded, you’ll see the top menu. The Drawing tools like brushes, smudge tool, eraser, layers and color are all along the top right. On the top left you have the back to gallery option, saving and importing tool, Effects and editing tool, lasso tool and move tool. Finally along the side is the brush size and brush opacity scales and undo/redo button. 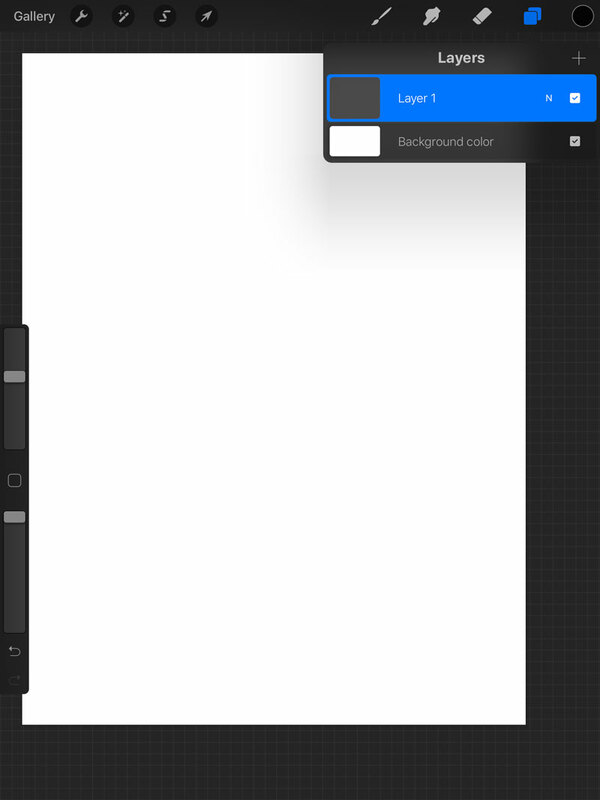 The square in the middle of the sliders is a color picking tool. 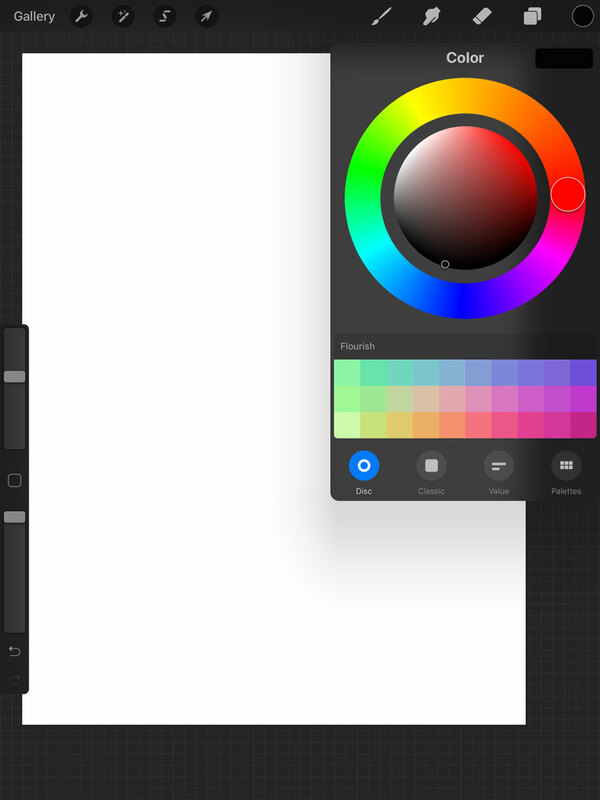 There are several saving options in Procreate. Click the wrench tool at the top and you’ll be brought to another drop down. Under the share tab you’ll see options like saving in JPEG, PNG and PDF format. 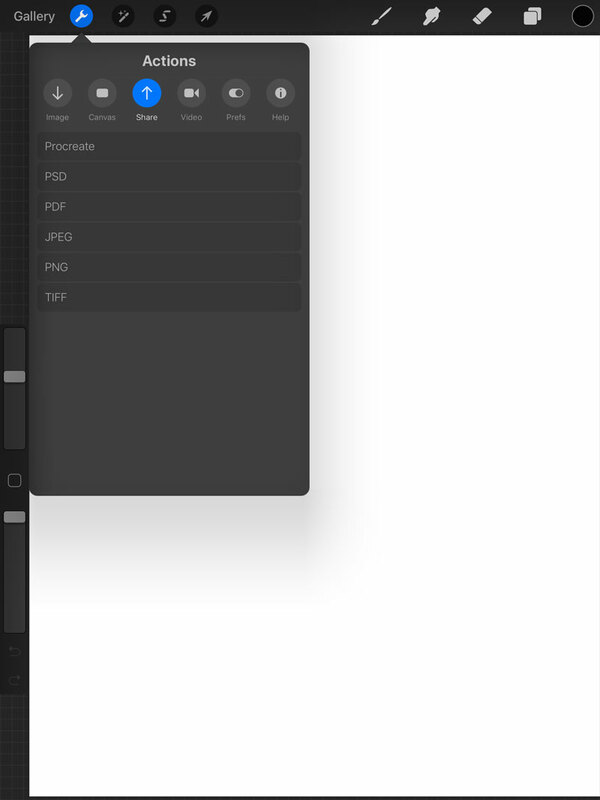 There is a procreate and PSD format as well! After choosing which format there is the option to save to photos, folders, AirDrop and more. I’ll be talking more in depth about saving options, even more fun features, Procreate shortcuts and time lapse videos in future posts so be sure to stay tuned for those! 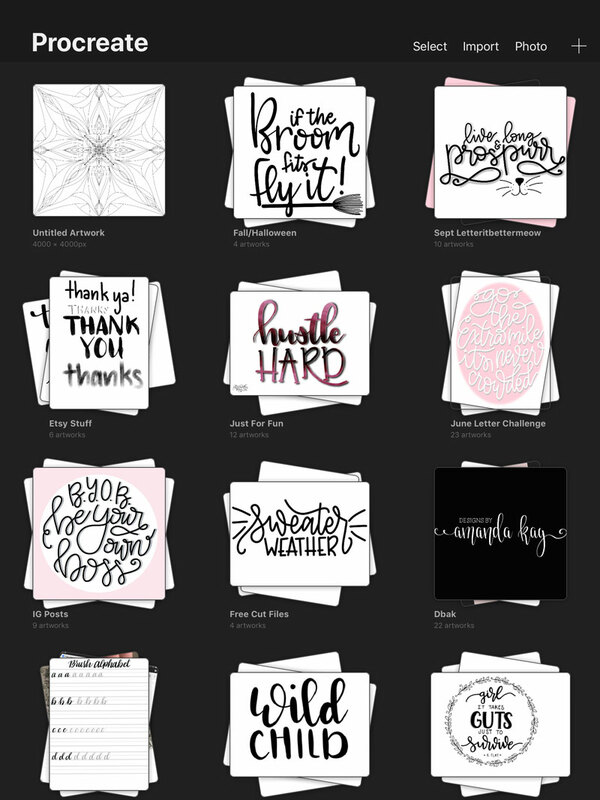 For now this is just a brief overview of the app, and why I love using Procreate for lettering! What are some of your favorite features of the app? Dont forget to pin it!